An action-packed, brought to us by Ignazio Dolce - the guy who directed several other 'Nam action flicks including "The Last Platoon". It's a plot less little exploitation movie, filmed on a shoestring budget in the Philippines. 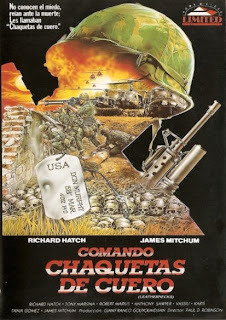 Richard Hatch (who also starred The Last Platoon) leads a top-notch Italian B-movie cast, including a beefy Jim Mitchum (In Harm's Way) in one of his last roles, as well as Vassili Karis (SS Girls), Antonio Marsina (The Rangers) and Robert Marius. Anyway, Hatch leads a patrol and finds a cache of US weapons being transported by the VC. So, he gets back to base and leads an intelligence officer out to track down the arms dealer. Well, after some good double-crosses and shoot-em-ups, Hatch gets back to his base in time for a big climactic battle. The film looks and sounds a lot like "The Green Berets", or "Zulu", or even "The Alamo" - but doesn't equal any of those earlier epics. At least half of the movie concerns these guys defending a small village atop a desolate hill, while the VC charge out of the surrounding jungle and blast away with mortars and M-16s. These battle scenes are excellently done, filled with some dizzying photography, lots of good explosion effects and slow-motion photography. There is plenty of good-looking Filipino scenery. 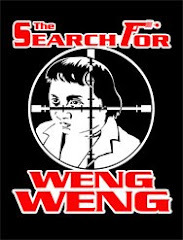 Most Italian 'Nam or Mercenary movies were shot in the Philippines to take advantage of very cheap production costs and good-looking geography. You never for once doubt you're in Vietnam. The soldiers look sweaty, grimy and angry. The Vietnamese villagers look emaciated, tired and scared. The movie does have its low points, though. The script really lacks character development and the actors fail to deliver any strong material. For the most part, they just sit around swearing at each other. All the GIs are interchangeable, since none of them have the least bit of personality. The production also looks pretty low-budget. Men shout that there's "A million VC out there!" and it only looks like maybe 20 or 30 guys are attacking - and notice how they all look exactly alike? The number never decreases, even after Hatch and company have blown away about 100 guys. The ending also really upset me, since it leaves the story hanging and has Hatch blowing away about 3 dozen VC while charging out in the open. Of course, the VC just keep coming with firing back and Hatch is standing out in the open, never running out of ammo. Sheesh. 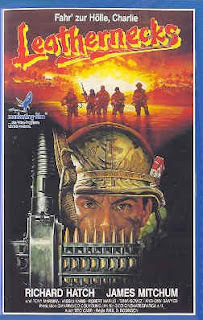 "Leathernecks" is just another in the slew of high-octane, low-plot Vietnam action-exploitation flicks to come out in the 80s. It's a fun little flick, but don't expect anything special.